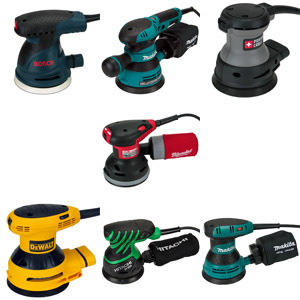 At first glance grinders seem to be all about power and performance. If you ask a metal worker, however, you'll find out that control is just as important. The Bosch 1380 Slim comes highly recommended by the NewMetalworker, who we respect a lot around here. Needless to say, we had to get the Bosch 1380 Slim into our shop. Let's take look at what it can do. The 1380 Slim gets its name from its smaller than average body. 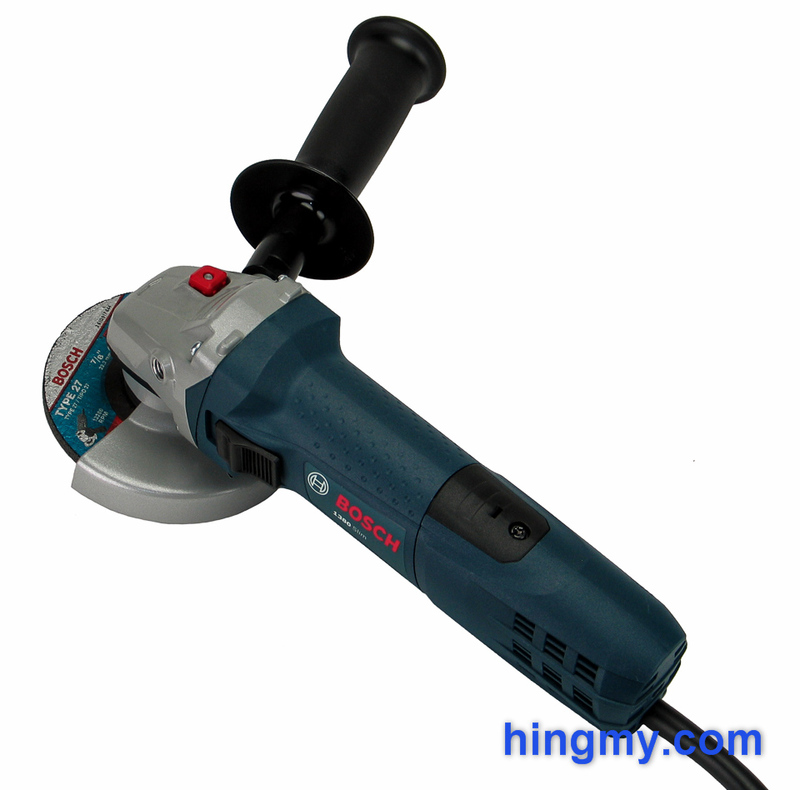 The engineers at Bosch reasoned that a slimmer grinder would be more comfortable to hold. 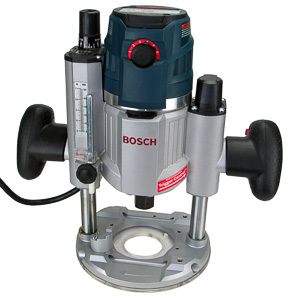 The rest of the grinder looks very pedestrian, but clearly shows the high-level of quality that is so typical of Bosch tools. The metal gear housing in the front of the tool is made of two pieces of cast iron. This part of the tool is nearly indestructible. 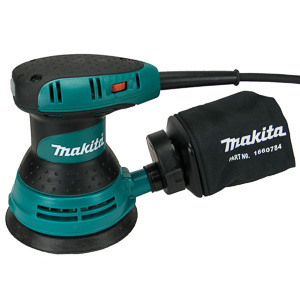 There are no rubber bumpers anywhere on the tool to protect it and its surroundings from damage. Your 1380 will sport scratches all over its body shortly after you put it into service. The body of the tool is made of thick plastic. It is smaller in diameter than the body of almost all 4 1/2 inch grinders. To compensate for the lost interior space, the body of the 1380 Slim is longer than average. Two access panels hide the motor brushes. While the brushes are field-serviceable, it is unlikely that you'll have some on hand on the job site. If you do, it'll only take a few minutes to replace them. The only tool needed is the Allen key mounted on the blade change tool. Like most grinders the 1380 Slim does not have a speed control. 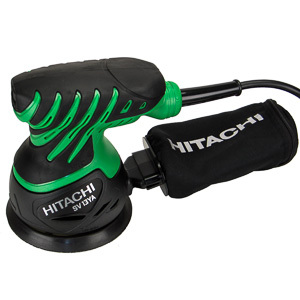 The blade rotates at a constant 11,000 rpm. The 8 amp motor is powerful, but well shy of the top spot in this class. All this adds up to an average performance in the 4 1/2 inch grinder field. The 1380 is not so much about top-end power, and more about producing a good amount of power that can be controlled with ease. The 1380 Slim uses a slider switch located on the side of the body. The switch can be locked in the ON position by pushing down on it while the switch is in the ON position. Simply tapping the switch disengages the lock and turns the unit off. Operating the switch with only one hand while wearing gloves takes some dexterity, but becomes second nature soon enough. The handle of the 1380 Slim can be mounted on either side of the gear housing. In both positions the handle is aggressively swept forward prompting an aggressive cutting stance. While it may be a matter of personal taste, we think that this type of handle position is a good match for a small grinder. The handle threads into the body in seconds. Once installed it won't move or come lose on its own. The part the user grips on to is made of hard plastic, which is not the most comfortable of materials. The blade guard of the 1380 is unlike any other. It locks onto a plastic ring on the body of the tool. Plastic teeth all around the ring limit the positions the guard can be installed to a handful. A set-screw locks the guard in place once a good position is found. 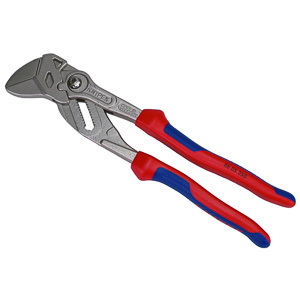 The teeth keep the guard attached to the body of the tool even in situations when the set-screw fails. The guard cannot be installed around the entire arc around the arbor. The set-screw interferes with the gear housing when the guard is pointing backward. The loss of these ~90 degrees of mounting surface is not a significant issue, since the guard would be preventing the blade from making a cut. The hex key built into one end of the blade key loosens the set-screw in seconds. Repositioning the guard does not take much longer. The guard itself is made of heavy gauge metal. It is nearly indestructible; even during falls. When making a cut the guard can be positioned to deflect all of the sparks away from the user's hands. Some sparks escape through the open side of the guard, but not more than on other grinders. The grinding disk is held in place by two collets. One mounts directly on the arbor. This collet only needs to be removed when switching to specialty attachments that do not make use of a collet. The second collet mounts below the disk. To replace a disk the second collet must be removed using the disc change tool. A spindle lock button on the gear housing locks the spindle to eliminate a second wrench from the equation. The process is as finicky as it is on most grinders, but it can still be completed in under a minute. The two collets hold the disk in place with authority, eliminating any fear of the disk coming lose during operation. While the spindle lock performs its function well, it takes an uncomfortable amount of force to press and hold. The power and speed of the motor push the 1380 Slim to an average performance in the field of 4 1/2 inch grinders. The grinder removes material at a rapid, yet controlled pace. In most cases it'll clean up weld marks in a few passes. 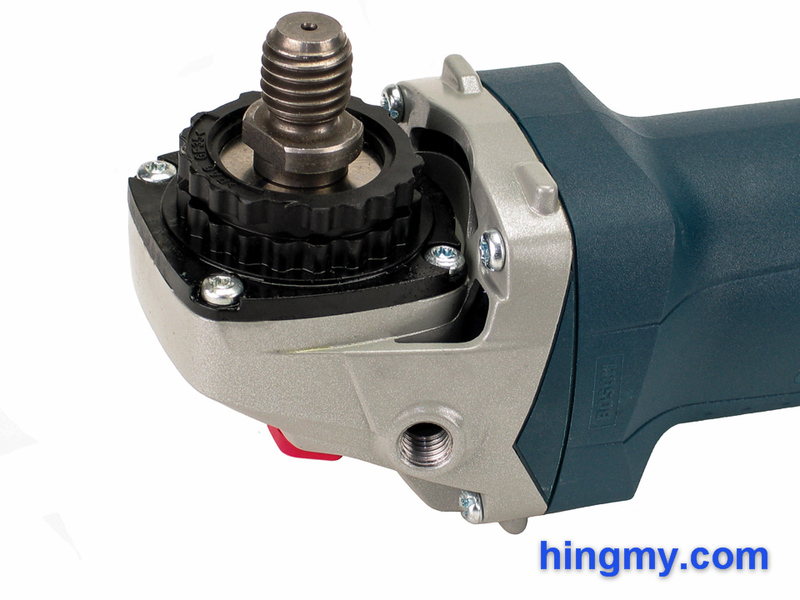 When used correctly the motor hums along as if the grinder was not doing any work. In our test the 1380 continued doing so for two hours at a time with a few interspersed breaks proving that it has the quality necessary for commercial use. Off course there are limits to what a small grinder can do. If you press the disk into the work piece too vigorously, the motor quickly begins to labour and fail. The 1380 will undoubtedly burn up, if you try to use it as if it was a much larger grinder. Cut-off performance is good for a 4 1/2" grinder, but well below average compared to larger grinders. If you have a few bars of rebar to cut, the 1380 will get the job done. If you are working on the rebar cage for a floor of a commercial building, larger grinders will get you to Margaretville much faster than the 1380 Slim. 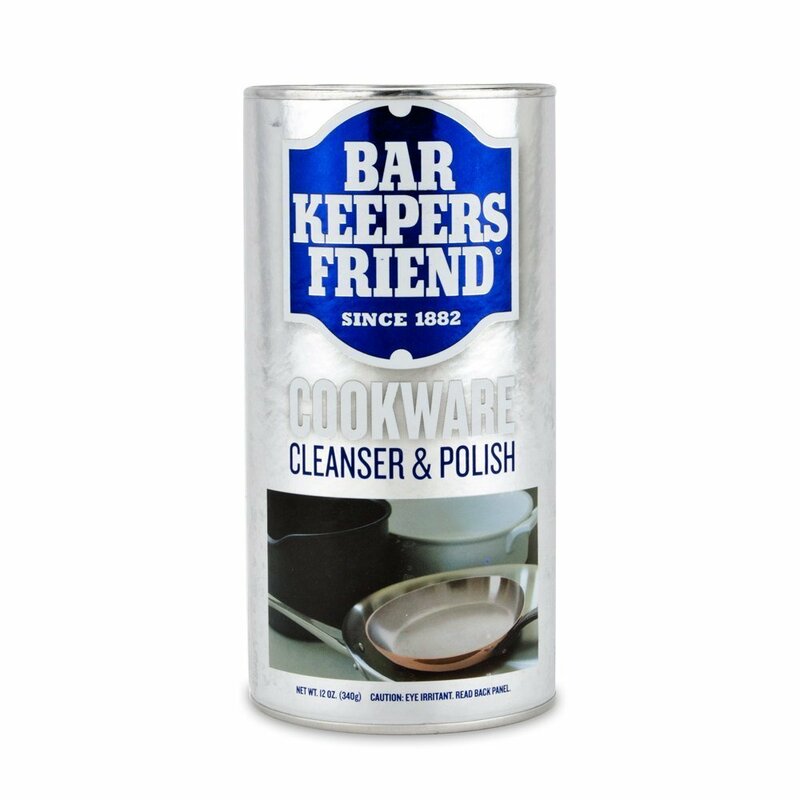 The slim handle is most noticeable when doing detailed work. The 1380 Slim is truly at home in a metal working shop. 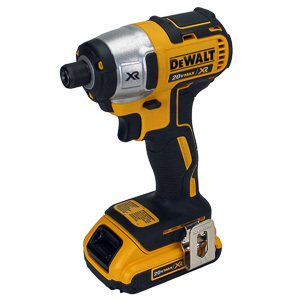 Everything about it has been engineered to bring considerable power to a spot other, larger grinders cannot reach. The slim handle makes the 1380 more comfortable to hold, which in turn creates a better day at work for you. 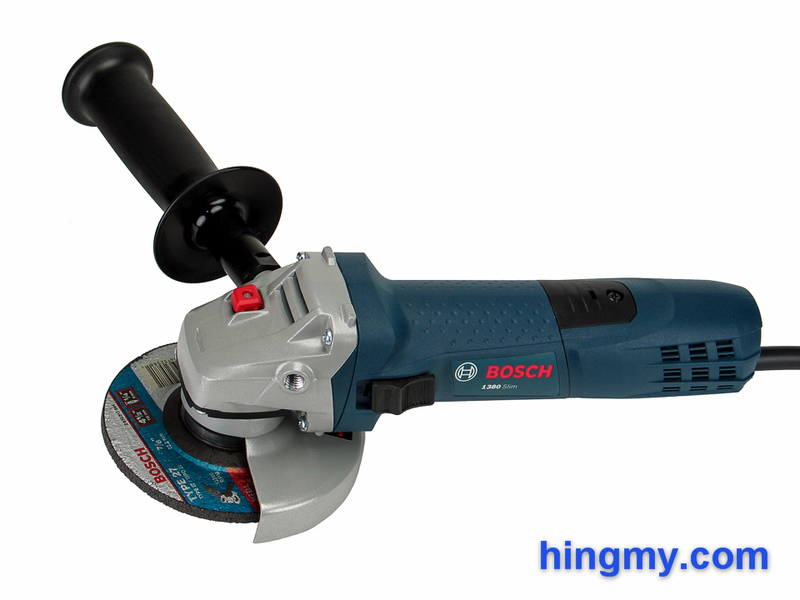 The Bosch 1380 Slim is a novel take on the 4 1/2 inch utility grinder. Well engineered all around, the 1380 excels at completing medium duty grinding tasks at a measured pace. 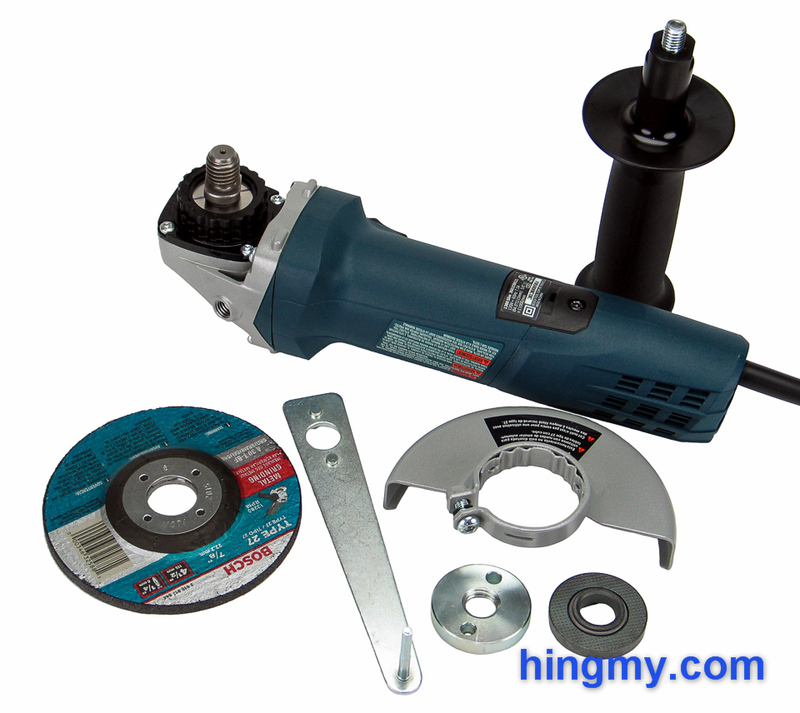 Its low weight and small body make this grinder exceptionally maneuverable. The 1380 Slim is simply one of the best small grinders you can get. On the flip side the 1380 Slim is not a tool for rough work. The 8 amp motor is simply not powerful enough to produce adequate performance on a large project. Cut-off performance is good, but not good enough for a commercial job site. 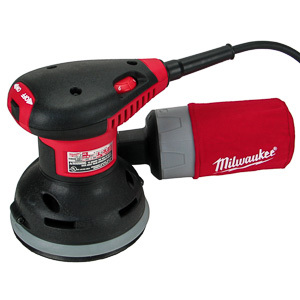 If you are looking for a general purpose grinder you'll use for a few cuts at a time, the 1380 Slim offers ease of use few other grinders can match. If you put miles on your grinder every day, there are much better tools to choose from in this class. The Bosch 1380 Slim is a specialist that is unbeatable in the right situations.